The Russian International Affairs Council, a powerful Moscow-based think tank, estimates that there are four scenarios for resolving the ongoing diplomatic conflict between Qatar and other Arab and Muslim states. Written by renowned Middle East observer Vitaly Naumkin, the report outlines what Russia and its regional allies should be prepared for. Last week, Saudi Arabia, Bahrain, the UAE, and Egypt cut off diplomatic relations with the tiny Persian Gulf emirate of Qatar, accusing Doha of supporting terrorism and destabilizing the Middle East. The Maldives, Mauritius, Mauritania, Comoros, Somaliland, the Aden-based government of civil war-raged Yemen, and the Tobruk-based Libyan government soon joined them, with Jordan, Djibouti, Senegal and Chad lowering diplomatic contacts with or recalling their ambassadors from Doha. Moscow has been watching the diplomatic crisis very closely, and has stressed the need to resolve the conflict peacefully, offered emergency food supplies to Qatar, and called for direct negotiations between Doha and the other Arab states to resolve the crisis. In a paper on the diplomatic conflict for the Russian International Affairs Council, a powerful think tank set up by the Russian president, Russian Academy of Sciences' Institute of Middle East Studies director Vitaly Naumkin described four broad scenarios for the resolution of the crisis. These, he said, include negotiations and settlement, the removal of Qatar's leaders from power, Doha's geopolitical realignment, and a devastating regional war. "I am inclined to think that the parties will manage to come to an agreement, since no one is interested in aggravating a conflict involving states which hold the main cards in the global oil and gas market," Naumkin wrote. The expert recalled that in addition to its gas reserves, Qatar is also rich in helium; it has the fourth largest reserves of the gaseous element in the world. The academic stressed that in its present form, the ultimatum which Arab countries have presented to Qatari Emir Tamim bin Hamad Al-Thani would cause him to lose all creditability if implemented. 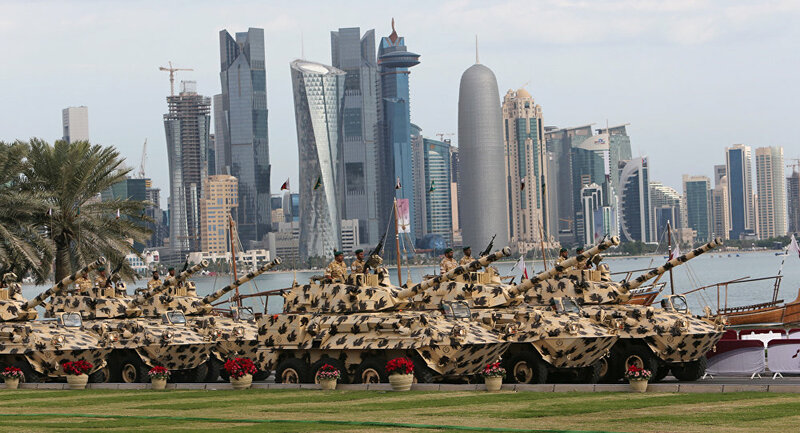 "Qatar's Arab neighbors are demanding not so much the termination of the financing of recognized terrorist groups (which are being supported by other Arab states as well), so much as a refusal by Doha to engage in rapprochement with Iran, the expulsion of the Muslim Brotherhood and the leaders of the Hamas movement, the closure of media resources such as Al-Jazeera, Alquds Alarabi, the Arabic version of the Huffington Post, and the London-based Middle East Eye and Al-Arabi Al-Jadeed newspapers." Citing high-level contacts among Saudi officials, Naumkin revealed that the ultimate aim of Qatar's opponents is the resignation of the emir. In this situation, the expert said that even if Doha compromises and concedes every point in the ultimatum, new demands might be presented. Accordingly, Naumkin noted that there are four broad scenarios for resolving the diplomatic crisis. Under the first scenario, the parties resolve their differences as a result of mediation by regional and world powers. 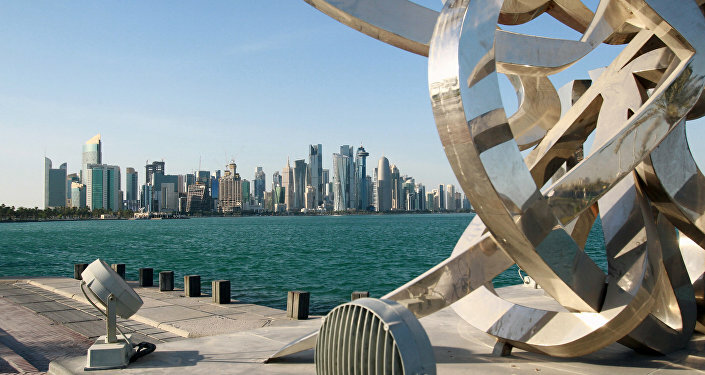 Doha will be forced to make some concessions, but will not be asked to sacrifice its key foreign policy initiatives, including friendly relations with Iran, and links to the Muslim Brotherhood. The second scenario sees mediation efforts fail, and pressure on Qatar escalate. Amid threats of even more severe struggle, the emirate's leadership is forced to resign, and is replaced in a soft change of power scenario. The third scenario, according to Naumkin, sees an escalation of the confrontation, with Qatar deciding to take drastic measures up to and including leaving the Gulf Cooperation Council, and a greater rapprochement with Turkey and Iran. In this case, the analyst noted, there is a chance that Doha's policy toward the Syrian crisis will shift (away from supporting terror groups), and that Qatar might subsequently join the Astana triumvirate on the Syrian settlement (Russia, Iran, and Turkey), subsequently turning the group into a quartet. Finally, the fourth scenario sees a sharp escalation in the conflict, which results in an open military confrontation, and serious consequences for all parties involved. "But even in this almost unimaginable scenario, this sort of confrontation cannot last for any considerable period of time," Naumkin stressed. Ultimately, Naumkin noted that it was difficult to answer whether Russia would benefit or stand to lose from a new crisis in the Middle East. "Some analysts say Russia will win out, because oil and gas prices may rise (although this has not happened yet). 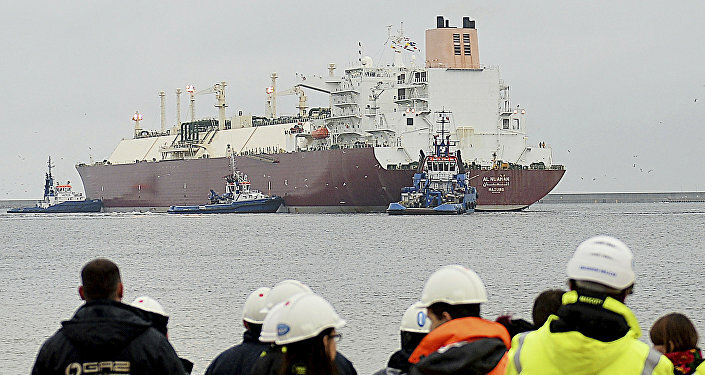 Furthermore, the volume of LNG supplies from Qatar on the world market would decrease, creating a niche that Russian producers may occupy." Others calculate that Moscow would lose out, "because the destabilization of the region will cause damage to everyone in one way or another; furthermore, for the implementation of the not-inconsiderable Qatari investments in the Russian economy and continuation of investment cooperation, stability and security in this country are needed." Naumkin believes that Russia's most likely course of action will be to try to find ways to use its regional influence to cool tensions, all without directly interfering in the conflict. Moscow, he noted, "has historical ties and many common interests with all the actors in the drama being played out in the region." Therefore, "in view of the developing relations between Russia and the countries of the Persian Gulf, as well as Egypt and Jordan, Moscow will likely adhere to an equitable course toward the conflicting sides," the expert concluded.